Blues Ladies progressed into the last 16 of the UEFA Womens Champions League for the first time in the clubs history. A 1-0 victory at Stratford Town’s DCS Stadium, courtesy of Chelsea Weston’s 50th minute strike, helped wrap up a 4-0 aggregate victory over their visitors from Finland. Russian outfit FC Zorky now wait in the next round with the two-legged tie to be played across 9/10 November and 13/14 November. It was a solid yet unspectacular display from Blues against a PK-35 side that defended resolutely but never really threatened to overturn their 3-0 deficit from the first-leg. The hosts kept on knocking on the Vantaa door throughout the first-half but failed to find a breakthrough. Melissa Lawley struck the bar as early as the sixth minute while visiting goalkeeper Paula Myllyoja kept a Kirsty Linnett shot and a Emily Westwood header at bay. PK-35 were limited to a speculative effort from Hanne Ojanpera that clipped the top of the Blues woodwork in the 15th minute. Karen Carney dragged a close range shot agonisingly across the face of goal before the break while Myllyoja produced a fine diving save to spare her colleague, Sanna Saarinen’s, blushes with a header that looked to be heading for an own goal. It was goalless at the break but only took five second-half minutes to break that deadlock. Carney played in Weston down the right side of the area and she dispatched a low shot into the far corner. The goal proved to be the only real highlight of an uneventful second-half as Blues ensured a smooth passage into the round of 16. 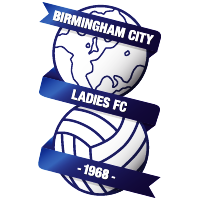 Blues Ladies: Spencer, Weston, Harrop, Bassett, Christiansen (Wilkinson 61), Linnett (Haines), Carney, Potter, Moore, Lawley, Westwood (Mannion 72). Subs not used: Earps, Simpkins, Torkildsen, George. PK-35 Vantaa: Myllyoja, Leppikangas, Kivela, Korhonen, Bisset (Ruutu 64), Parikka, Saarinen, Ojanpera (Salmi 54), Hirvonen, Franssi (Koso 76), Peltonen. Subs not used: Velaj, Kivisto, Hastings.